Education Minister Dr Dipu Moni has cast her vote at Kamranga Government Primary School polling centre of Chandpur Sadar Upazila. 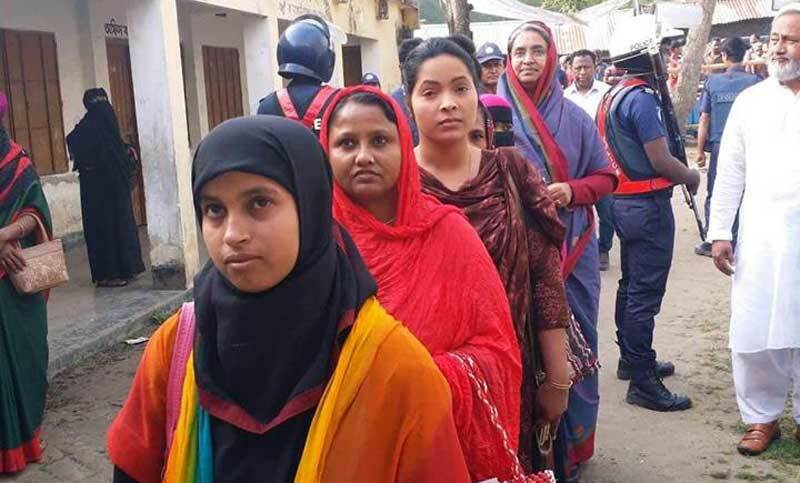 Dr Dipu Moni, also a local MP of Chandpur-3 constituency, stood in the queue to exercise her franchise in the upazila parishad elections like other commeners at 8:15am on Sunday. Later, the joint general secretary of Awami League and education minister left Chandpur for Dhaka. The election of Chandpur upazila parishad ended peacefully. The voting in elections to 117 upazila parishads ended on Sunday amid allegations of vote rigging and irregularities.